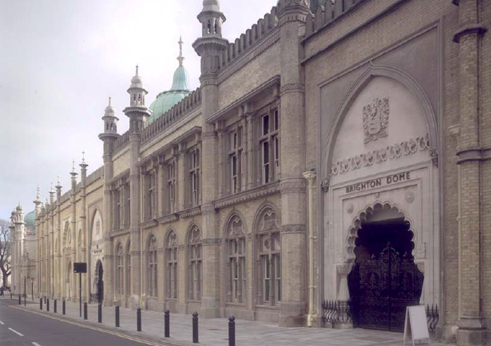 Originally built in 1804 as a stable block and riding house for the adjacent Royal Pavilion, these buildings are of national significance. 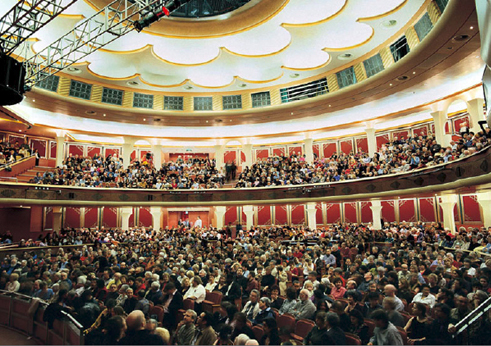 The Dome was converted into a concert hall in 1867 whilst the riding house became a flat floor exhibition hall and one-time roller skating rink. 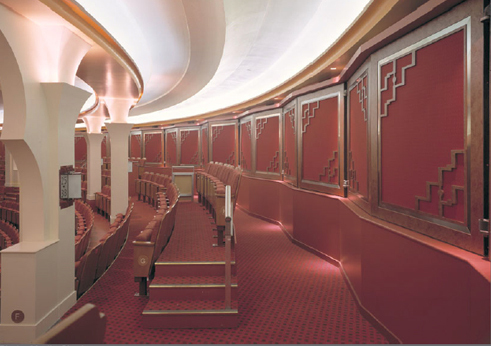 Major alterations were carried out to the Dome in the 1930s (Robert Atkinson, architect) resulting in an Art Deco interior added to the Indian Regency shell. 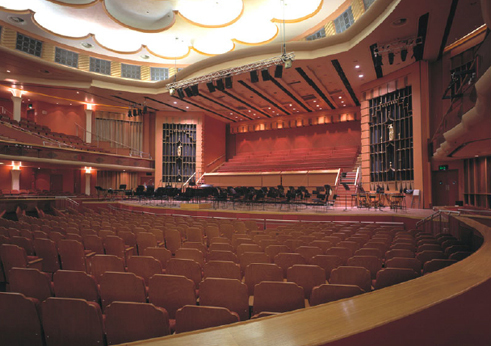 The 2002 refurbishment included transformation of the 1800-seat auditorium, yielding vastly-improved sightlines, a much-enlarged stage area, and the introduction of mobile elements that allow the space to be used as concert hall, lyric theatre and flat floor pop venue as required. Completely new technical systems, seating and interior finishes were installed. 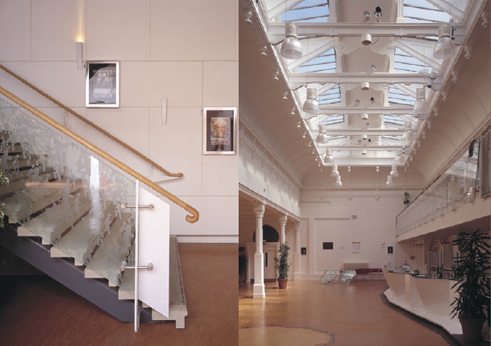 The Corn Exchange was restored to its 1860’s appearance and a flexible performance space created using completely demountable components. These can be used to form a 300-seat end-stage theatre on raked bleachers with hemp rigging and production lighting on trusses suspended between a series of floor-mounted towers. 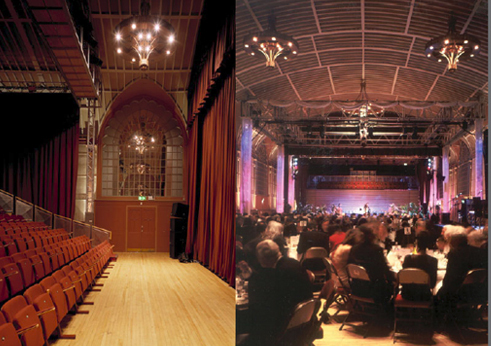 The space is equally at home housing promenade productions, conferences, exhibitions and banqueting. David was the Design Team Leader for the project while a partner with RHWL’s arts team.